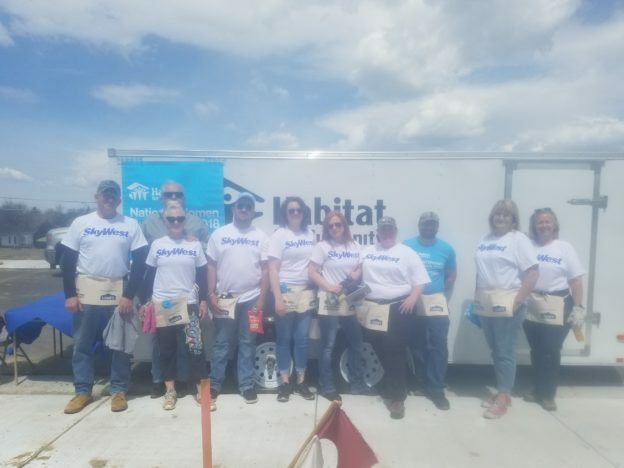 Last weekend, the SkyWest team in Casper, Wyoming (CPR) had the chance to give back to the community by working with Habitat for Humanity to help build and repair homes in the city of Casper. 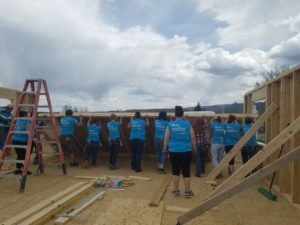 Seven SkyWest team members, along with their families, volunteered their time and hard work for the community they love while the CPR airport was closed for runway construction. 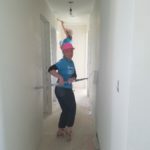 Together they nailed away as they assembled and put up walls, adding paint as a finishing touch. 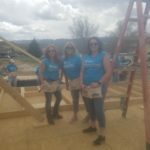 This isn’t the first time SkyWest people have gone above and beyond to give back to the communities in which we work and live. 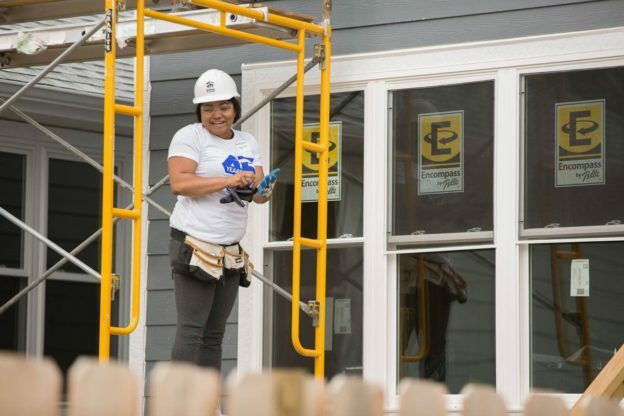 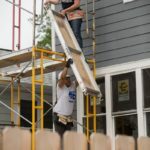 Nearly 200 SkyWest employees showcased their commitment to teamwork and quality last year, working alongside Habitat for Humanity to build homes for those in need in Salt Lake City, Denver, Chicago and Los Angeles. 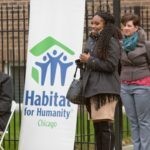 Interested in joining our team? 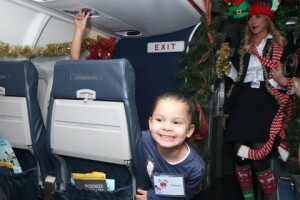 Learn more and apply online at http://www.skywest.com/skywest-airline-jobs. 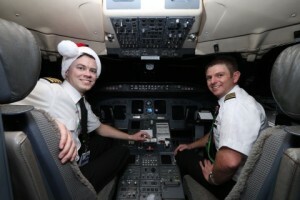 Those were words written by Kirksey Hagan, a new SkyWest CRJ first officer in training. 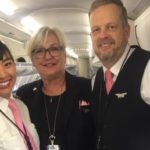 She joined the SkyWest team last month and had an immediate introduction to the SkyWest family going above and beyond after she experienced a medical emergency. 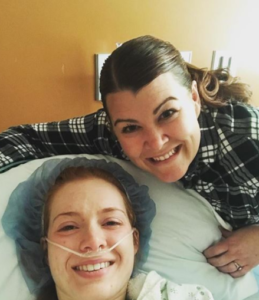 When Kirksey woke up in serious pain a couple of weeks ago, she reached out to a friend she had made in training class, Brent Blackmore. 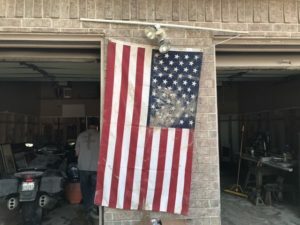 It was a very early morning wake-up call after several rigorous days of training, but Brent stopped at a pharmacy to pick up some medicine before driving Kirksey to urgent care. 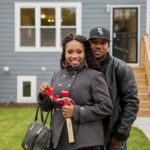 She was advised to go straight to the emergency room, and Brent drove her there and waited with her until she was diagnosed. 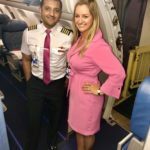 Training Admin Manager Jen Baron left work immediately to meet them there. 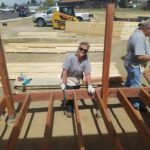 Kirksey needed an emergency appendectomy, and her family was not be able to make it to the hospital in time. 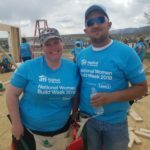 Jen stayed at the hospital through the surgery, working with the SkyWest Travel Center to coordinate travel to Salt Lake City for Kirksey’s family. 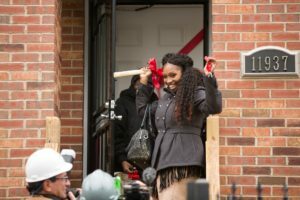 She also contacted the training and housing teams to fill them in on Kirksey’s situation. 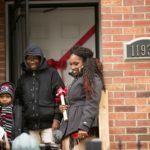 She even offered for Kirksey to stay with her family to help her recover over the Easter weekend. After surgery, another classmate also drove to the hospital to bring an overnight essentials bag and check in on her. The Spirit of SkyWest has always been its people. 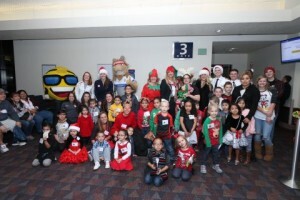 Never has that been more evident than in 2017, when teams came together to give back to deserving causes around the SkyWest system as well as help team members who faced unforeseen tragedies. 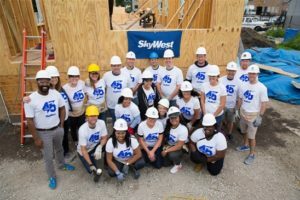 From helping build homes alongside Habitat for Humanity to mark 45 years of flying, to softening the impact of Hurricane Harvey through donating to SkyWest’s non-profit organization, the SOS: Crisis Fund, SkyWest people showed what truly makes the airline great. 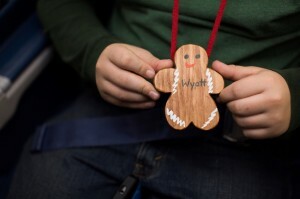 Through events around the system, SkyWest people made a positive impact: donating over 85,000 hours building homes alongside Habitat for Humanity; bringing the miracle of flight to 50 special passengers as part of a first-ever Wings for Autism event in California; raising money for The Special Olympics in the ultimate tug of war competition: pulling an Airbus A300 weighing nearly 180,000 pounds; introducing the excitement of aviation to girls aged 8-17 in multiple locations as part of Girls in Aviation Day; proudly displaying what it is we do day-in-and-day-out to SkyWest children at Bring our Kids to Work Day; supporting the fight against breast cancer; donating meals to those in need; and of course, banding together in relief efforts to help SkyWest’s own who were impacted by the hurricanes, fires and other unforeseen tragedies of 2017. The year of giving didn’t stop there. 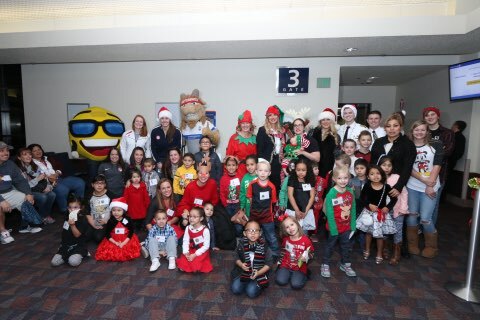 SkyWest people also provided SkyWest Scholarship funds to 45 outstanding students, brought the joy of the holidays to children in need, and shared life-changing experiences with our passengers. It’s these and stories like them that have shaped 2017 and 45 years of flight at SkyWest. We look forward to 2018 and the opportunities it holds for continuing to give back where SkyWest people live and work across the country. 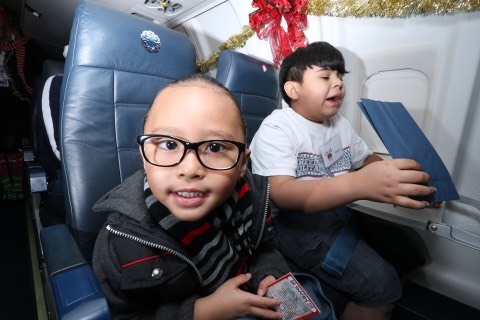 SkyWest people have worked all year long to give back in our communities as we celebrate 45 years of flying, making 2017 one of our most giving years ever. 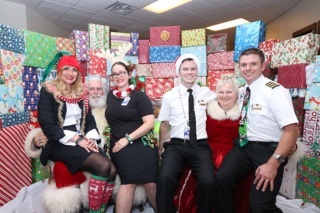 As we wrap up a year that has included building houses with Habitat for Humanity in Salt Lake City, Denver, Chicago, and Los Angeles; donating thousands to support Hurricane Harvey victims; giving $45,000 for the SkyWest Scholarship Fund and transporting some very special passengers to the North Pole, SkyWest team members got in the spirit of giving once more this December, raising more than $15,000 for the Utah Food Bank, including a dollar-for-dollar match from the SkyWest, Inc. C-suite!The donation will have a large impact on fighting hunger, providing nearly 55,700 meals for those in need this holiday season and beyond. 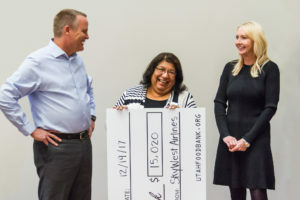 The Utah Food Bank, a member of the nationwide network, Feeding America, feeds 392,000 children, families and seniors who are unsure of where their next meal will come from. 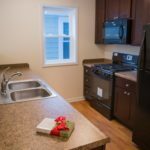 They are one of several food banks that delivers food to their partner agencies free of charge and are a member of the nation’s leading domestic hunger-relief network. 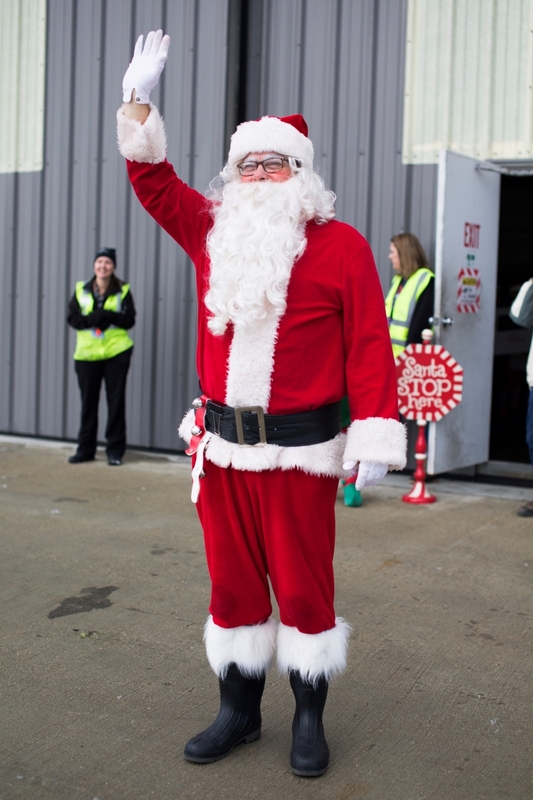 A huge thank you to everyone who contributed and joined the fight against hunger! You can continue to make donations to the Utah Food Bank through the SkyWest team page by clicking here. Pure joy and merriment filled the Colorado Springs, Colorado (COS) and Milwaukee, Wisconsin (MKE) airports this weekend as SkyWest crews flew more than 100 children to a special destination not found on any route map: the North Pole. 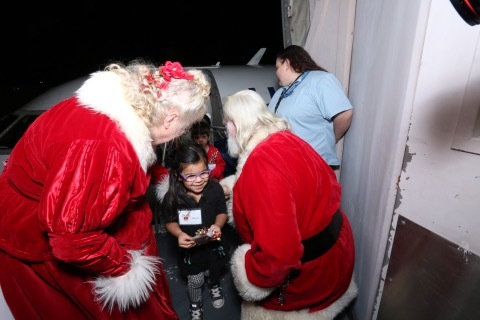 At the 11th annual Fantasy Flight, SkyWest crews gave Rudolph the night off, welcoming 30 eager children onboard a CRJ200 for a 30-minuite flight to the “North Pole.” Partnering the Junior League of Colorado Springs and CPCD…giving children a head start, the night spread holiday cheer to children who live at or below poverty level. 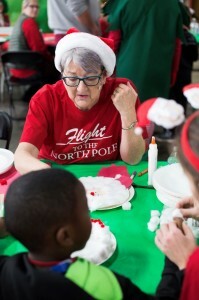 These young passengers, many of whom would otherwise receive little to nothing on Christmas morning, were greeted by mascots, carolers as well as Santa and Mrs. Claus themselves as they enjoyed crafts, games, a festive meal and gifts from their wish lists in a Christmas wonderland created by volunteers. 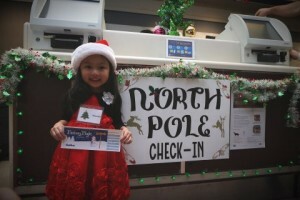 The goal of the event: to provide memories of happiness and cheer for each of the children involved. 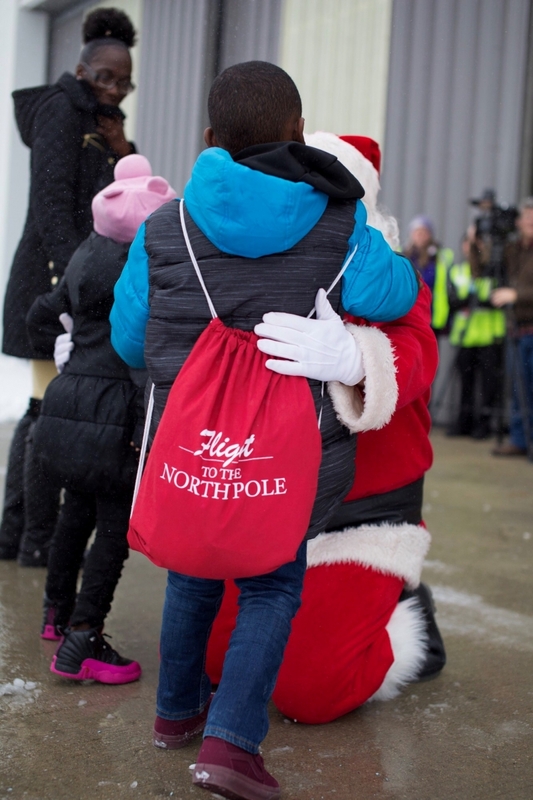 The Flight to the North Pole helped brighten the season for 72 children from Milwaukee Children’s Hospital suffering from serious illness and their families as they boarded a SkyWest CRJ700 and took a 20-minute ride to the “North Pole” (a nearby hangar decked out in holiday style!). While it never left the ground, the festive ride provided much needed smiles and wonderment to the tiny passengers. 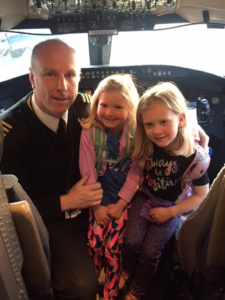 The event meant a little something more to the captain operating the special flight, Captain Tim Schuh, who’s newborn son spent several weeks at Milwaukee’s Children’s Hospital this past summer. Both events, made possible through the hard work of SkyWest elves and countless volunteers from various other organizations, welcomed in the warmth of the holiday season providing a day full of Christmas magic to all in attendance! These events are another example of the many ways SkyWest people brighten the journey of passengers young and old. 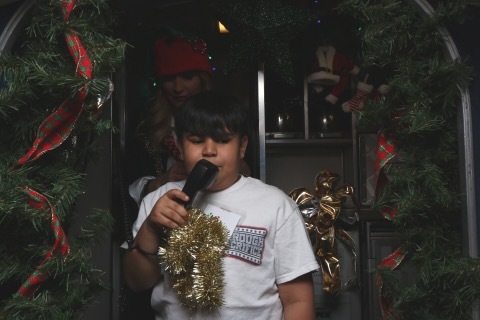 Take a look at more photos from the events! 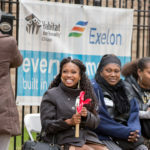 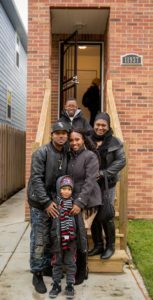 A grateful family of five was recently welcomed home for the first time at a Chicago Habitat for Humanity home dedication; a house SkyWest people worked together to help build. 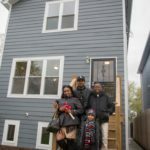 “This home means peace of mind. 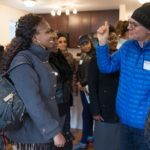 You never know what the future will bring, but we’ll know [our kids and grandkids] always have a home to go to,” said Shuanta and Mike Sampson, beneficiaries of the new Habitat home. 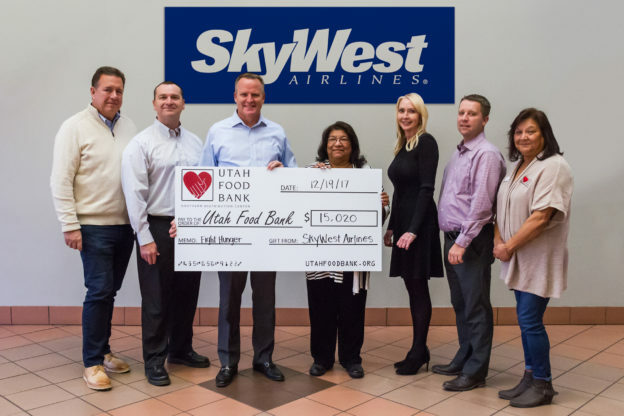 SkyWest is happy to support initiatives that encourage employees to give back. 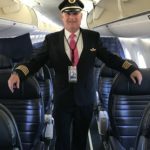 Learn more about joining the SkyWest team. 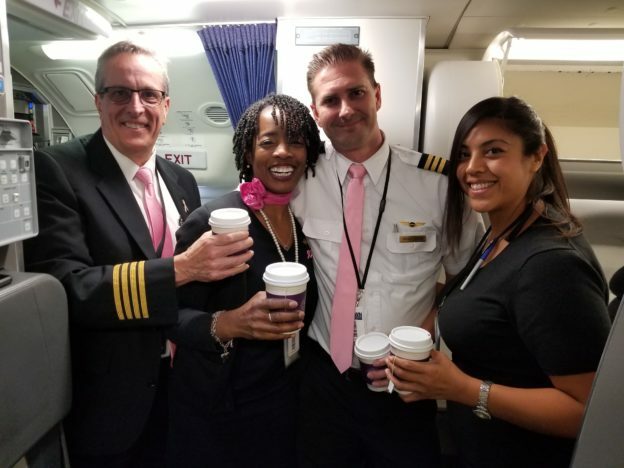 SkyWest People Support the Fight Against Breast Cancer! 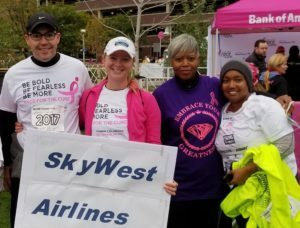 Last month was Breast Cancer Awareness month and SkyWest employees from around the system teamed up to support the fight and bring awareness through generous donations and events! 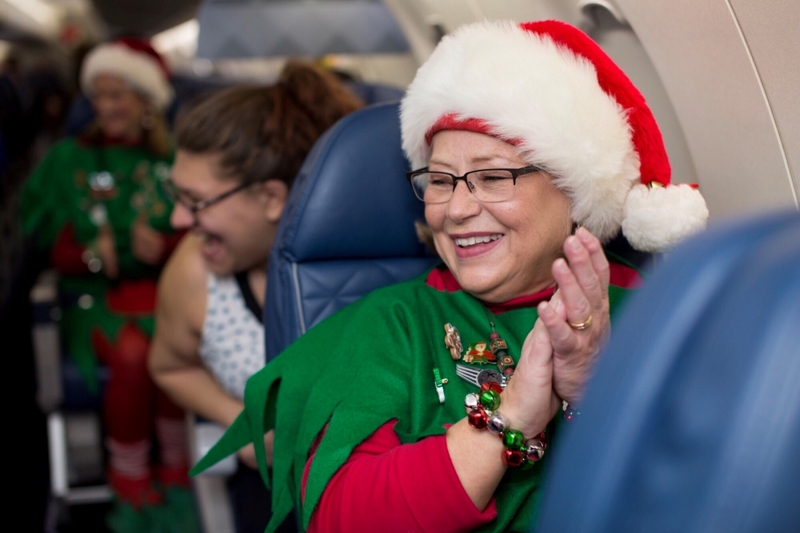 Throughout the month, team members donated to the American Cancer Society for a chance to win a SkyWest CRJ200 aircraft model and SkyWest matrix jacket. 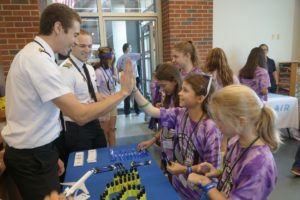 Congratulations to Chicago CRJ Captain Taylor Hinson, who came away with the aircraft model, valued at $300, and ERJ First Officer Benjamin Ruth, who will take home the matrix jacket! 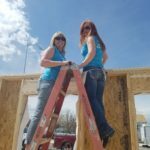 At the 2017 Komen Colorado Race for the Cure, employees on team “Denver Flyers” got moving for the cause, gathering donations and participating in a 5K event. 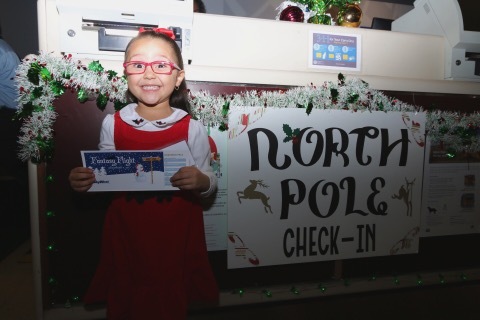 At SkyWest headquarters, employees got busy in the kitchen, making treats for the annual bake sale and cooking up chili for the competitive Chili Cook-Off! 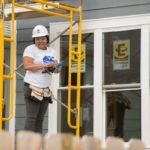 While the competition was hot, hundreds of dollars were raised to benefit the American Cancer Society. 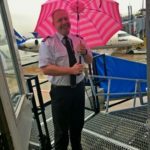 And of course, what would Breast Cancer Awareness Month be without pink? Crewmembers purchased hundreds of pink items to go with their uniforms, with funds benefitting cancer research. 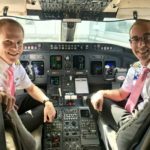 Pink ties, scarves and socks were proudly worn to raise awareness and remember fighters and survivors. 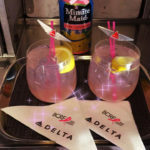 In the air, passengers were able to buy special food and drink items with their purchases helping the fight against cancer. 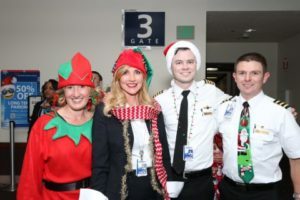 Together, SkyWest people raised thousands of dollars for cancer research in October in a display of solidarity for each other and those we serve onboard each of our 2,000+ daily flights! 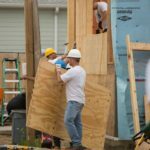 In recent weeks, Mother Nature has made her presence known across the states, with Hurricane Harvey making landfall and devastating parts of Texas and Louisiana, then Hurricane Irma and Hurricane Maria following in Florida and Puero Rico respectively. 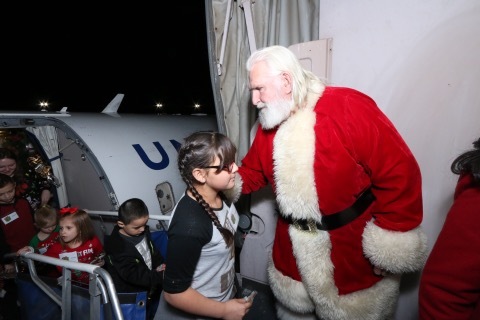 In true SkyWest fashion, people stepped forward immediately asking how they could help their team members in need. 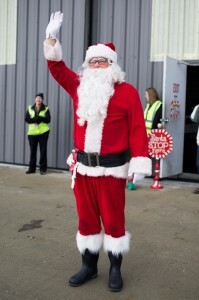 Thankfully, all SkyWest people are safe. 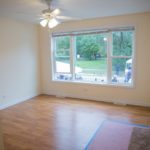 However, several have experienced tremendous property loss due to the historic flooding. 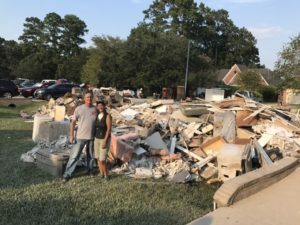 SkyWest is offering a myriad of resources to support our people, from personal outreach from leaders to SOS: Crisis Fund resources for those in Harvey’s path. 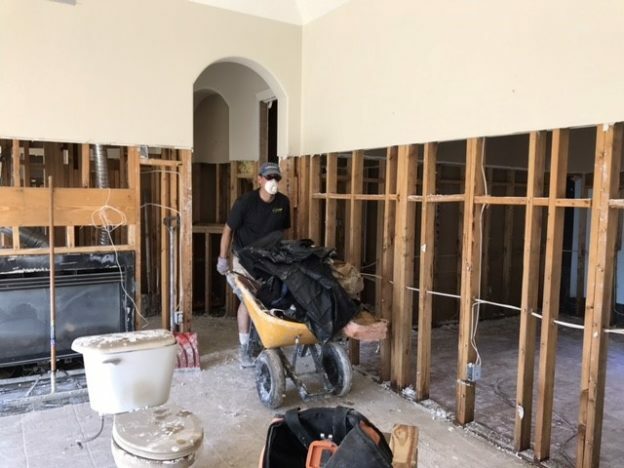 Additionally, SOS: Family Assistance is available to those on an approved personal leave of absence to take time to rebuild and recuperate from the flooding. 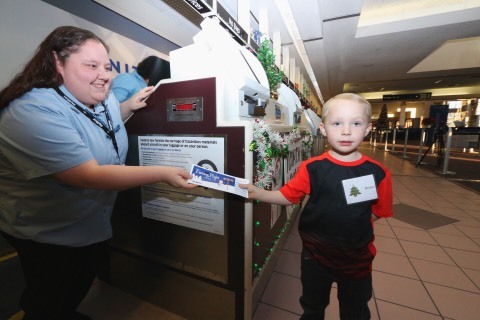 Family Assistance allows SkyWest team members to donate their user and vacation hours to those on an approved leave. 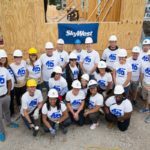 Since the hurricane, SkyWest people have donated $15,000 to the SOS: Crisis Fund, with those funds going directly to SkyWest employees who’ve experienced loss from Harvey’s path. 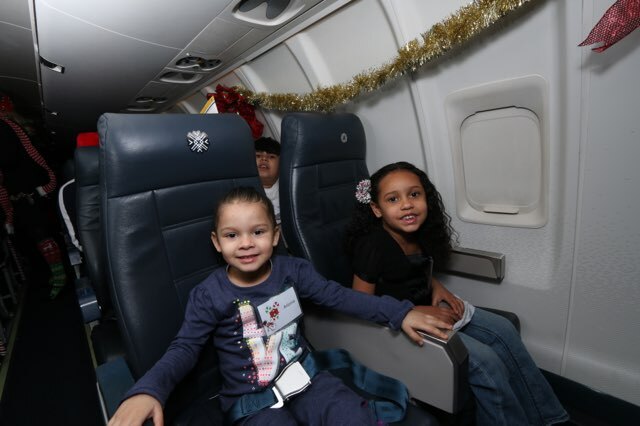 SkyWest has already granted more than $50,000 to our people and we continue to receive and fund applications as the harsh realities of the storm’s effects settle in. 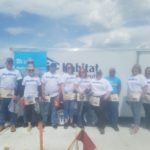 In addition to directly helping our people, we’ve worked with the Red Cross and donated $10,000 to help provide aide and an American Red Cross Emergency Vehicle in flood areas. 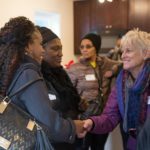 We continue to work with the Red Cross and other relief organizations to coordinate efforts on support and relief. 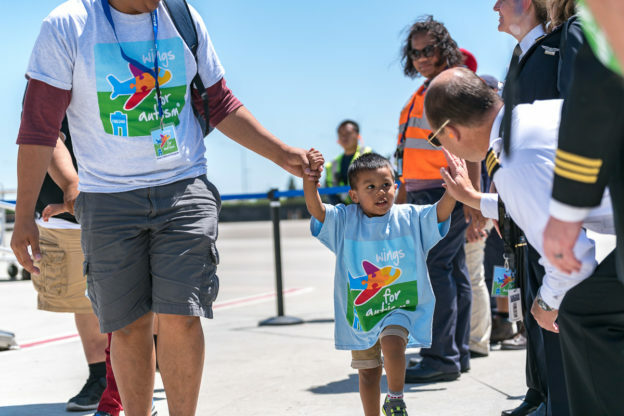 No matter the challenge, SkyWest people are a family and rise to support each other in times of need. 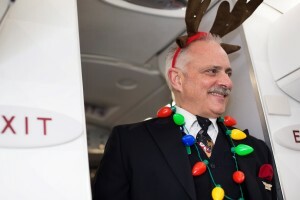 And that is the Spirit of SkyWest.